A Video had been Viral where some goons were beating a me tally challange woman just for fun. They beat her with pipe and forced her to say Gods’ names. This tweet has more than 2000 retweets which is huge. 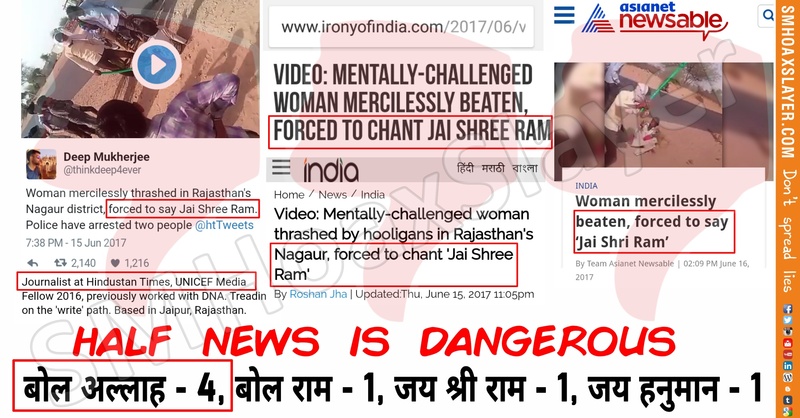 Deep, a journalist at Hindustan Times quoted only “Jai Shree Ram” which was picked up by Hindustan Times and many others. Do listen to the video, count and confirm yourself. Such hiding one part of news is always dangerous, causing rift between religions, communal tension and spreading hatred.